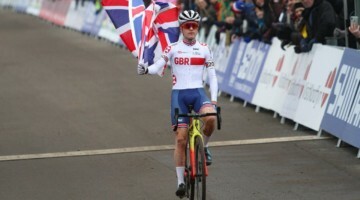 Looking back at the 2015 Cyclocross World Championships in Tábor, Eli Iserbyt found himself with a silver medal around his neck after racing amongst the Junior Men. 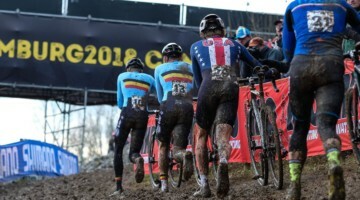 Fast-forward to this past weekend, and the young Belgian rider has not only upgraded to U23, but has also turned silver into gold after taking the 2016 U23 World Championship title in Heusden-Zolder. While he was getting his jersey and signing autographs, we grabbed his still-dirty bike after the race to get some quick shots of the winning ride. 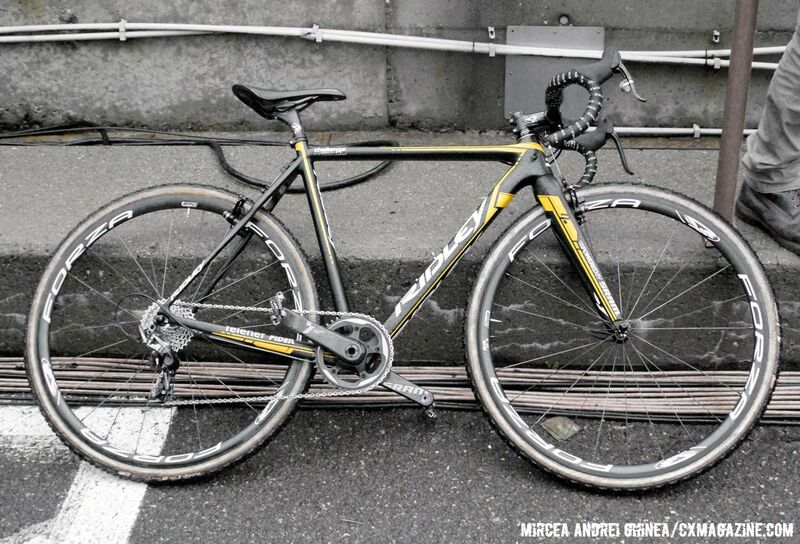 The Ridley X-Night should be a familiar bike to anyone who follows the sport. 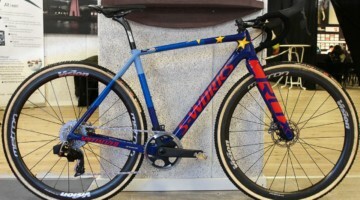 The model has gone through a few iterations over the years, but each one has carried many cyclocross pros to the top step of podiums. As a result, the bike has been featured in its fair share of profiles. In fact, those paying close attention may notice that the bike features the same Telenet-Fidea paint scheme as Ellen Van Loy’s bike that we profiled over a year ago. The build spec is mostly a collection of SRAM bits and Ridley’s own 4ZA house-brand components. The bike is fitted with a SRAM Force 1 drivetrain, with a single 42 tooth X-Sync ring up front. Iserbyt’s chainring choice appears to have been a good one, as he was able to edge out Adam Touplaik in a brutal sprint to the finish. Shifting and braking are controlled by a set of SRAM Force 1 ErgoDynamic DoubleTap levers. 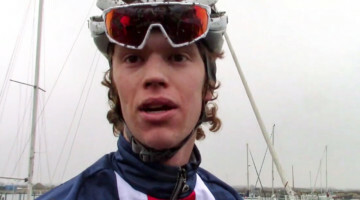 Iserbyt’s Ridley follows the general European preference for cantilever brakes. Although the X-Night is offered in a disc brake format, the simplicity and reliability of cantis makes them Iserbyt’s stopping method of choice on the course. 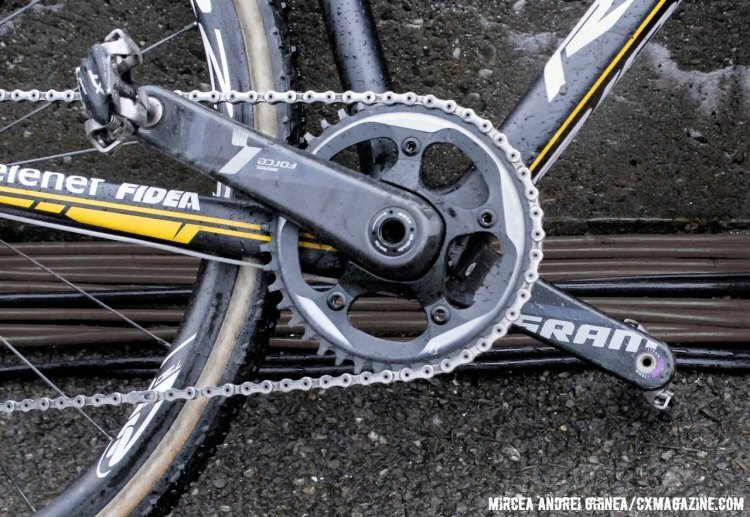 The cantis continue the SRAM spec with their related Avid Shorty Ultimate model. 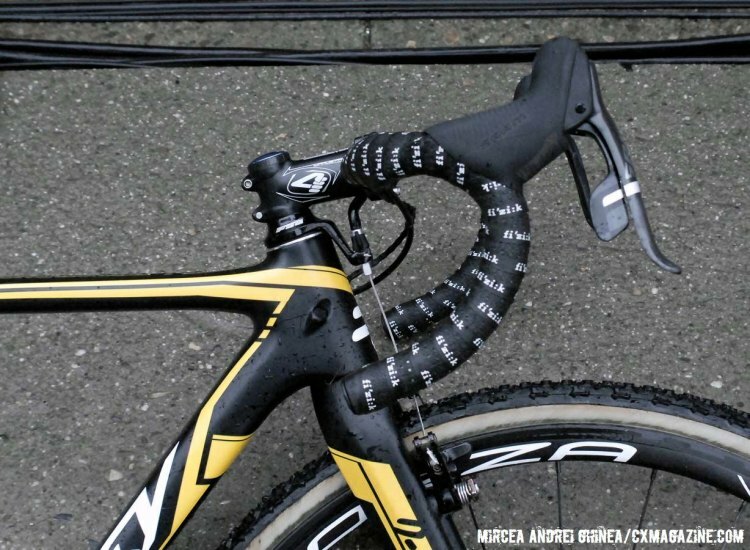 The cockpit is comprised of a 4ZA Cirrus Pro bar and stem, and the seatpost hails from the same component line. The 4ZA parts continue down to the wheels with a set of Cirrus Pro T-30 tubulars fitted with Team Edition Challenge Limus tires. A fi’zi:k Aliante saddle finished off the build, featuring a yellow accent to match the team colors. Hungry for more 2016 World Championship coverage? 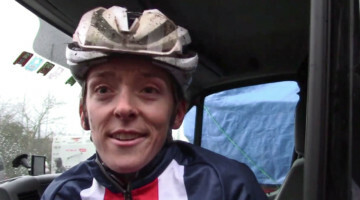 Then head over to our dedicated 2016 Cyclocross World Championships page for in-depth coverage of the event. Is it just me or is he on the wrong size frame? marcst1973 Have you seen him? He’s like 5ft tall. I guess they do not make that frame in their XXS. tremendous marcst1973 Yeah, I’m guessing even shorter than Lars Van der Har, he should be on a custom frame!! offrhodes True that! I think his is the first pro bike (other than some of the women’s bikes) that I have seen, which is at least one size too big.